University of California Press and the Society for the Study of Sound and Music in Games will launch Journal of Sound and Music in Games (ISSN 2578-3432), a new quarterly online journal in 2020. The first issue of the journal will publish in January 2020. 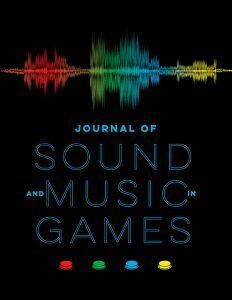 Journal of Sound and Music in Games (JSMG) is a peer-reviewed journal that presents high-quality research concerning all areas of music and/or sound in games. 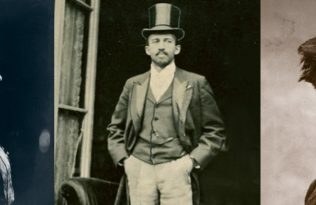 It serves a diverse community of readers and authors, encompassing industry practitioners alongside scholars from disciplinary perspectives including anthropology, computer science, media/game studies, philosophy, psychology and sociology, as well as musicology. JSMG is the only journal exclusively dedicated to this subject and provides a meeting point for professionals and academics from any tradition to advance knowledge of music and sound in this important medium. JSMG primarily focuses on video games, the journal welcomes studies of music and/or sound in any form of game (for example, sports games, historical games predating video games, etc.). JSMG publishes original research articles, supplemented by a range of other content including review articles surveying important subjects, reviews of pertinent books and games, communications with responses, and interviews. The journal will also occasionally present topically themed special issues and conference proceedings. As the journal of the Society for the Study of Sound and Music in Games, JSMG acts as a lively forum for the presentation and dissemination of knowledge, uniting theory and practice in this domain of musical-sonic activity. Stephen Baysted is Professor of Film, TV and Games Composition at the University of Chichester. As a professional composer his recent AAA game scores include: Project Cars and Project Cars 2; Red Bull’s Air Race: The Game; Electronic Arts: Need for Speed Shift 2: Unleashed and Need for Speed: Shift; Atari’s Test Drive: Ferrari Racing Legends; and Robert Kirkman’s: The Walking Dead: Assault. Recent written outputs include chapters on the compositional and audio design processes of video games which appear in the following books: Ludomusicology: Approaches to Video Game Music (Equinox, 2016), Screen, Music, Sound (Routledge, 2017), and The Cambridge Companion to Digital Culture (Cambridge, 2019). Elizabeth Medina-Gray is Assistant Professor of Music Theory at Ithaca College and holds a Ph.D. in Music Theory from Yale University. Her research on music and sound in video games can be found in several edited volumes including The Routledge Companion to Screen Music and Sound (Routledge, 2017) and Ludomusicology: Approaches to Video Game Music (Equinox, 2016) as well as Music Theory Online (forthcoming). Dr. Medina-Gray currently serves on the program committee for the North American Conference on Video Game Music and on the executive committee for the Society for the Study of Sound and Music in Games. Tim Summers is Lecturer in Music at Royal Holloway, University of London. His research concerns music in popular culture, with a particular focus on video game music. He is the author of Understanding Video Game Music (Cambridge, 2016) and has edited a collection of essays on the same topic, Ludomusicology: Approaches to Video Game Music (Equinox, 2016). He is a co-founder of the Ludomusicology Research Group that holds annual conferences on video game sound. He is currently finishing his second monograph while editing the Cambridge Companion to Video Game Music. SSSMG was founded in 2016 to bring together the emerging community devoted to the study of sound and music in games. The Society is a not-for-profit organization for members who primarily identify themselves as academic and professionals working in the video game audio industry. For more information about SSSMG, please visit https://www.sssmg.org/wp/.